What Are The Risks Of Zerona? ZERONA is a FDA approved body-sculpting procedure designed to remove fat and contour the body without invasive surgery. Unlike other procedures, Zerona allows the patient to continue their daily activities without interruptions from surgery, pain, or wounds. According to the manufacturer, the ZERONA procedure was proven through a double blind, randomized, multi-site, and placebo controlled study in which patients averaged a loss of 3.5 inches total (meaning measurements were taken from all over the body), and some lost up to as much as 9 inches total compared to the placebo group that lost only a half an inch. ZERONA works by utilizing the Erchonia® LipoLASER (FDA market cleared for laser assisted liposuction) to open a pore in the wall of the fat cells, releasing the fat into the interstitial space. The excess fat is passed through the body during its normal course of detoxification. Treatment takes 40 minutes and needs to be administered three times a week for two weeks for best results. The laser will be applied over the targeted area i.e. waist, hips, and thighs for 20 minutes and then the patient will turn over and do the same treatment on the opposite side. This should be a minimum, for maximum results consult your physician about doing more than one two week session. During the procedure patients most often do not feel anything, the laser that is being administered is a low level laser that does not produce heat, it is completely noninvasive, and has never shown any recorded side effects. Low Level Lasers have been in use for over 40 years for treatment of many different conditions such as chronic pain, wound healing, and many other orthopedic conditions. Treatments take about 40 minutes and most physicians recommend a treatment cycle of 6-9 sessions spaced out over a few weeks with 3-4 sessions per week. 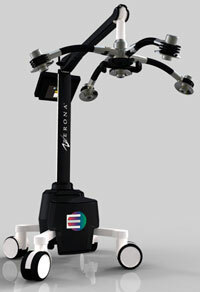 The cost of Zerona treatments range between $1,500 - $3,000, depending on the market and location of the practice.